In a few short years since opening in 1990, the Museum of the Mountain Man (MMM) has become a national and international destination for those interested in the fur trade era. The Rocky Mountain Fur Trade Journal (Journal) has built on that foundation since 2007 and has made MMM a leader in fur trade research. 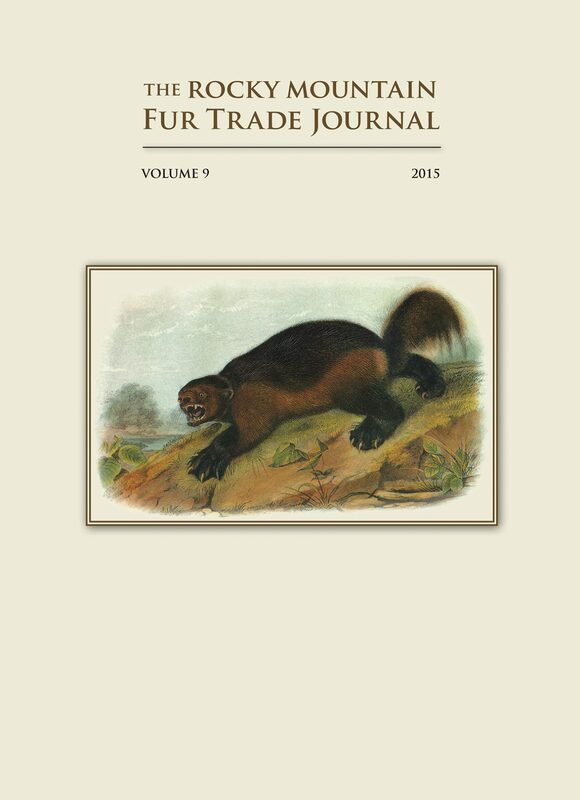 An annual, academic publication, the Journal strives to further the knowledge and discussion of the Rocky Mountain fur trade era, and to provide an avenue for leading researchers to showcase their work. The Journal is modeled after the peer-review process of the scientific community to ensure the highest academic and historical standards. On the leading edge of research, the Journal’s articles inform educators who then enlighten the general public. Very few institutions or organizations in the country are promoting research of the Rocky Mountain fur trade, mountain men, and rendezvous era. Each issue of the Journal is breaking new ground where many believed there was nothing new to be found. More than 40 top national researchers and reviewers collaborate each year to produce high quality content and presentation. The Rocky Mountain fur trade era is defined as beginning in 1824 and ending in 1840. In March 1824, Jedediah Smith led a party of trappers into the Green River Valley, finding an abundance of beaver and few hostile Indians. This discovery brought brigades of mountain men, followed by the rendezvous and overland supply systems to support them. These aspects characterize the Rocky Mountain fur trade era. While the 1840 rendezvous proved to be the last classic rendezvous, fur trade ventures existed before 1824, and endured after 1840, but those years mark the rendezvous system. The geographic boundaries of the Rocky Mountain fur trade are roughly defined as the Rocky Mountains of Idaho, Montana, Wyoming, Colorado, Utah, and New Mexico. This region was worked by the mountain men and Indians who depended on and were supplied by the rendezvous system. For more information on the Rocky Mountain Fur Trade Journal, lists of past articles, or to purchase copies of the current or past issues, visit www.museumofthemountainman.com. The Legend of Jedediah Smith: Fact, Fantasy and Opinion by James C. Auld – Mr. Auld challenges the devout, Bible-toting Christian image developed of Jedediah Smith. In the process he touches on the letter written by Hugh Glass to the family of John Gardner after the Arikara Battle and whether Jedediah Smith delivered the prayer mentioned in the letter. Trappers’ Cache: Trade Goods, Equipment and Clothing of the William Ashley and Jedediah Smith Trapping Ventures by Clay Landry. Using original records, Mr. Landry details the type of items and prices of supplies used to outfit the Rocky Mountain trapping enterprises of the early 1820s. “To Preserve Peace on the Frontiers:” Federal Regulation and the Fur Trade by Dr. Brad Tennant – Dr. Tennant explores the attempts at federal regulation of trade with native tribes on the early frontier including the factory system (government trading posts) whose repeal spurred private ventures, including the partnership of Henry-Ashley, that headed up the Missouri in 1822. The article also touches on the Arikara trade and hostilities that culminated in the Arikara War of 1823. Tracking Jim Bridger: Finding the Trail of Old Gabe by Jerry Enzler – Mr. Enzler explores several aspects Jim Bridger’s life that have been accepted, but need further analysis. This includes questioning whether Jim Bridger was one of the two men who abandoned Hugh Glass. “A Life Wild and Perilous”: Death in the Far West among Trappers and Traders by James Hannon Jr. – Mr. Hannon has compiled 314 confirm trapper and trader deaths in the mountains and uses that database to analyze frequency and types of deaths, including death by grizzly bear. An 1824-1825 Columbia Fur Trade Ledger by Jim Hardee – Mr. Hardee reveals a newly discovered trade ledger from James Kipp’s Columbia Fur Company trading house near Fort Tilton in 1824-1825. The 15 men whose transactions show in the ledger were contemporaries of Hugh Glass. The ledgers show the type of trade items trappers were using at the time. Arikara Niituníšu’ Beliefs and the Fur Trade by Dr. Mark van de Logt – Dr. van de Logt explores the Arikara belief in “evil medicine” and how that might have shaped the often hostile relationship with trappers and traders traveling the early Missouri River including an analysis of the roots of the Arikara War of 1823. Commerce in the Rocky Mountain Fur Trade: Two 1830 Promissory Notes by Clay Landry – Mr. Landry explores the financial history of two promissory notes written at the 1830 rendezvous, which are now housed at the Museum of the Mountain Man. One of the men, Johnson Gardner, was a friend of Hugh Glass on the upper Missouri in the early 1830s. Mr. Landry details how Gardner avenges Glass’ death in 1833 at the hands of the Arikara.